All Patterns are in PDF format, making them available for immediate downloading after purchase, so you can have them in minutes! Work directly from your computers screen or print out on paper. 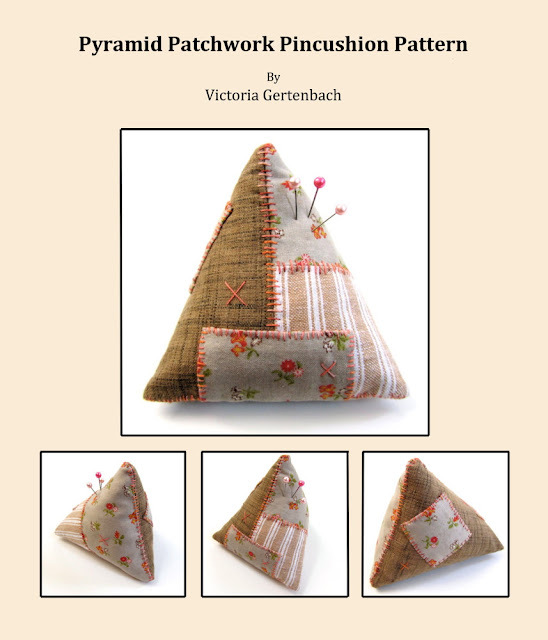 For more info on any pattern, or to purchase, just click on the link below each one. using the English Paper Piecing method! Learn how to make an array of beautiful, one-of-a-kind quilted and stitched fabric beads. Perfect way to use up all those bits of batting and beautiful scraps of left over fabric! Rural meets Modern in this delightful quilt! Learn how to make these modern improv-like blocks that were inspired from old-fashioned windmill and diamond blocks. 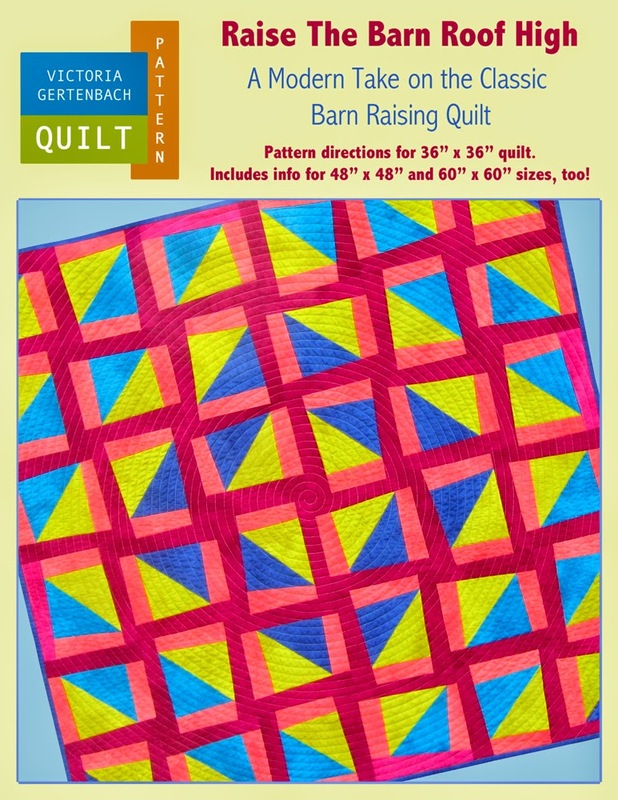 Learn how to make this modern twist on the old quilt favorite "Barn Raising"quilt. Have fun combining fabrics and colors for an endless array of possibilities! Combo Pattern Pack! "Raise the Barn Roof High" and "Windmills and Silos"
Get these two great patterns at a special price in this combo pack. 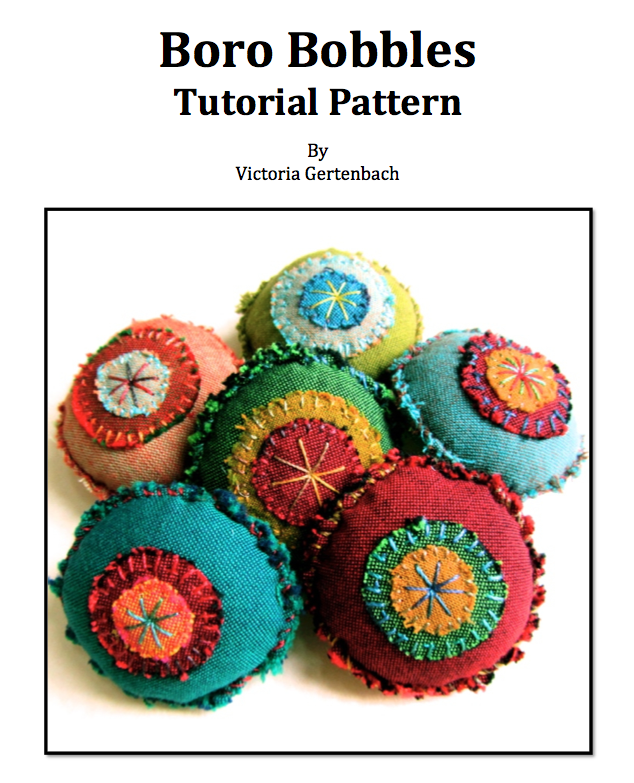 Have fun learning how to make my off-kilter, "wonky host blocks and explore how changing color and block orientation can create completely new patterns and designs! Learn how to make my delightful Boro Bobbles! 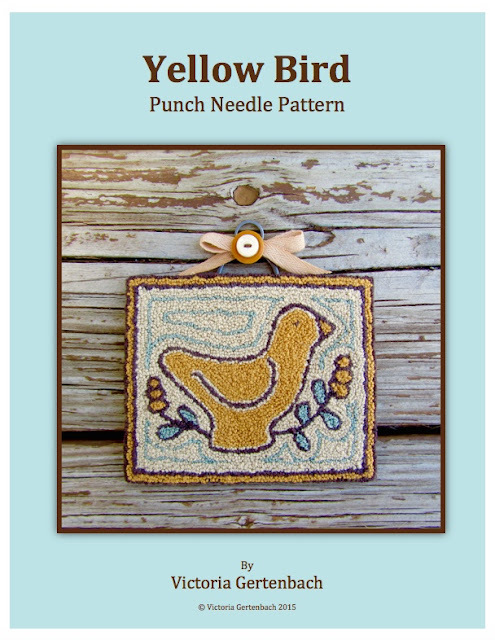 Easy to stitch and fun to make! Learn how to make this unique tetrahedron shaped pincushion. Have fun mixing and matching your scrap fabrics and embellish with patches and hand stitching! Note: You can click on the above link for more info, however this item is no longer available in my shop. If interested in purchasing, please contact me directly. 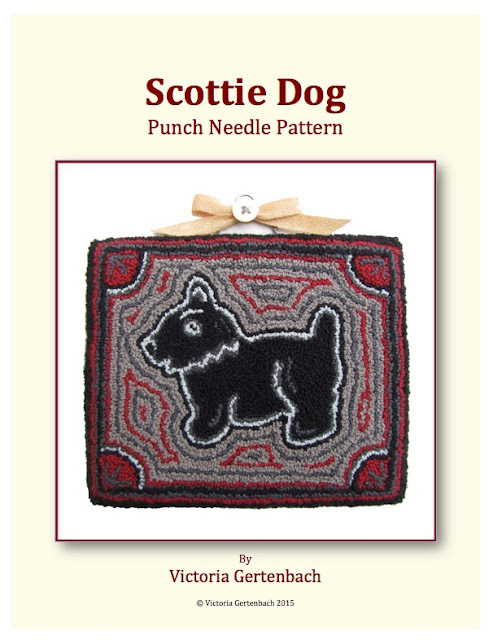 Have a sweet time stitching up this delightful little Scottie Dog! Pattern also includes instructions for finishing and hanging. Let this sunny little bird brighten up your day! 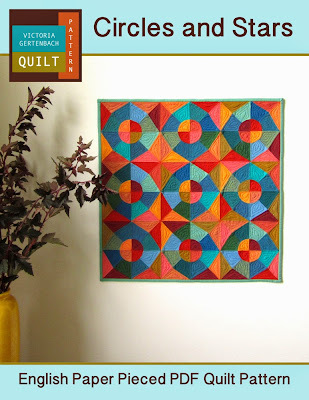 Create your own set of vintage looking quilt design tiles! Easy to do! Great tool to unlock creativity. Relaxing and fun! 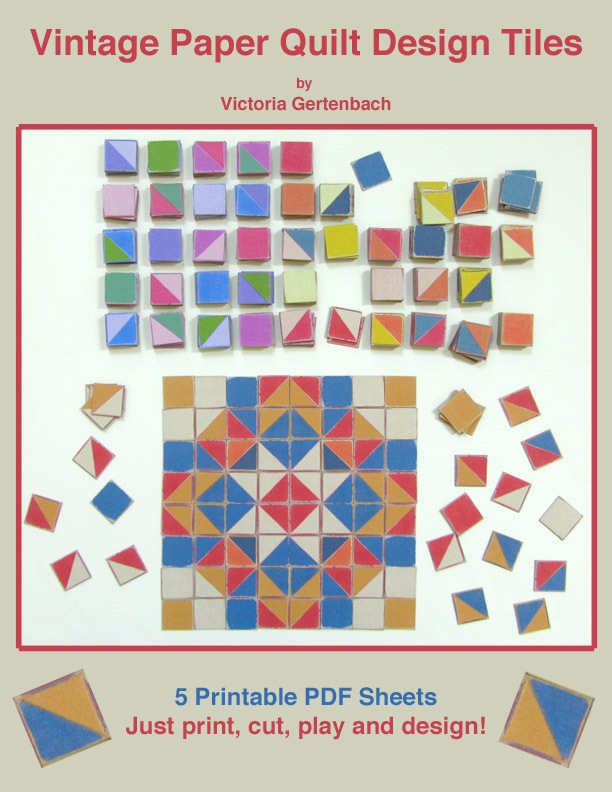 This PDF includes 5 different printable sheets with a total of 400 1" x 1" tiles. Sheets can be printed out over and over so you can create and endless supply of design options!